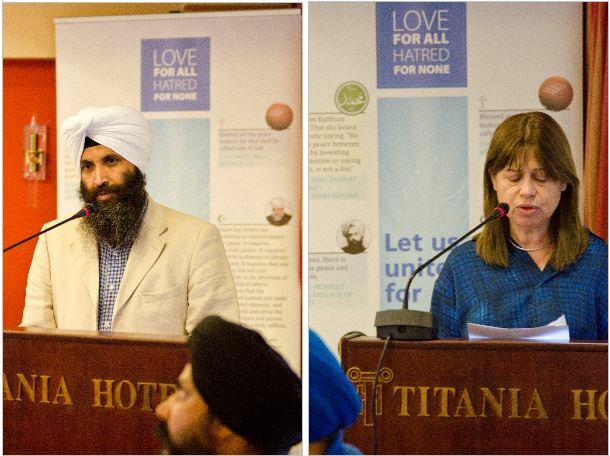 The Ahmadiyya Muslim Community Greece held its 1st National Peace Symposium on 30th May 2015 in Titania Hotel, Athens. The events was attended by about 50 people of different faiths and walks of life. The Key-note speaker was Dr. Iftikhar A. Ayaz OBE of the Ahmadiyya Muslim Community. Mr. Atta-Ul Naseer, Imam & National President of the Ahmadiyya Muslim Community Greece delivered the welcome address and the key aspects of Ahmadiyya Muslim Community were highlighted through an introductory documentary about the community. The first guest speaker, Mr. Rajbeer Singh, President of the Sikh Community of Tavros, Greece, who spoke about the teaching of Guru Nanak Dev Ji regarding mutual understanding of different religions, was then followed by Ms Marie Theresse of the Focolari Movement in Roman Catholics. Ms Theresse – who had particularly travelled from Lebanon to attend this event – highlighted the role of mutual understanding and co-operation among religions as a key step towards world peace. 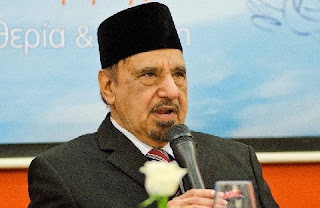 The Keynote Speaker Dr. Iftikhar A. Ayaz OBE spoke about the peaceful teachings of Islam and the services of His Holiness Hadhrat Mirza Masroor Ahmad, the Supreme head of the Ahmadiyya Muslim Community for the promotion of world peace in his visits to various countries. “Rightfully, many historian and political analysts are seriously cautioning the world leaders to take heed and avoid the path to another War which may be far more destructive than anyone can imagine. It is therefore the responsibility and the role of world leaders both political and religious, to act judiciously with justice to resolve all the conflicts and hostilities and unite in choosing and following the way to peace. After his speech a small Q & A session also took place in which some very thought provoking questions were asked from the panellists. The program concluded with the silent prayer followed by dinner. Share the post "Greece: Ahmadiyya Muslim Jama’at holds 1st National Peace Symposium"